Spain: Amazon store, ASIS store, Vuestros libros. Veterinarians from three countries joined forces with Cornell University Hospital for Animals (CUHA) to save a young German shepherd’s life after a bundle of tissue in his heart turned deadly. At six months old in 2017, Rex was by far the calmest dog the Silverman family of New York City had ever owned. 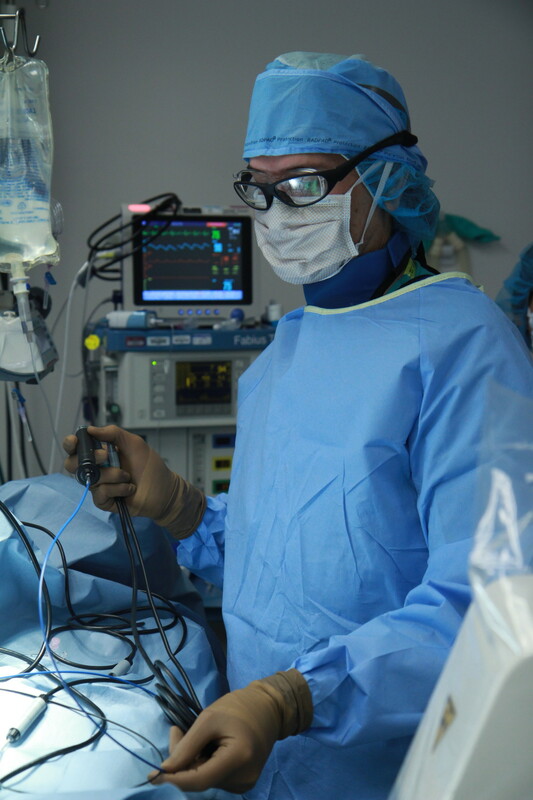 Dr Roberto Santilli and Dr Romain Pariaut performed a successful radiofrequency catheter ablation of a mid-septal accessory pathway maintaining a fast reciprocating tachycardia (> 300 bpm).“Now all he does is run,” said Silverman. “He finally has the energy to play.”Rex, still not even a year old, can now enjoy puppy life to the fullest. In honor of his successful recovery and the surgeons who made it possible, the Silvermans partnered with the cardiology team to create the Henry and Karen Silverman Initiative to Advance Treatment of Canine Arrhythmias. For reviewing the complete story visit Cornell Chronicle. 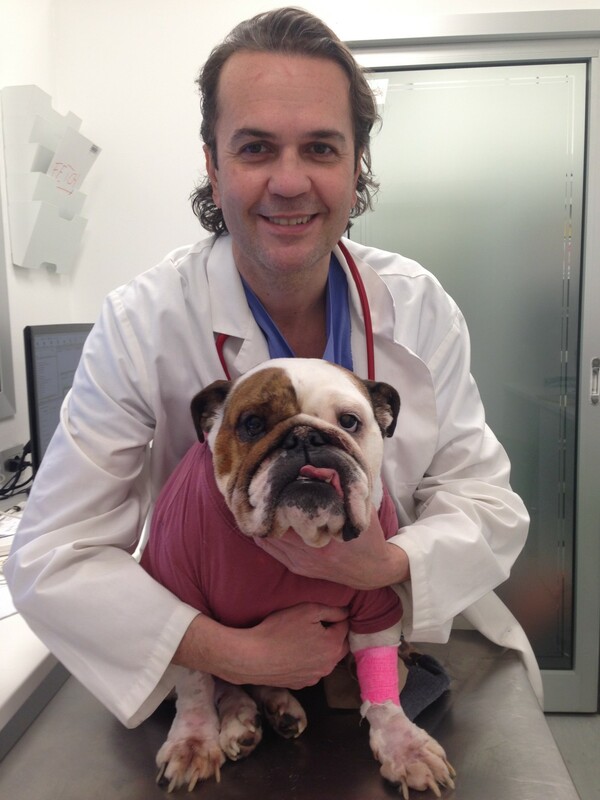 Matilde a 5-year-old English Bulldog was presented for an incessant monomorphic ventricular tachycardia (ventricular rate of 380 bpm) inducing cardiogenic shock. Matilde was then cardioverted with a shock of 200J and treated with intravenous Procainamide CRI and oral Sotalol. Two days later a radiofrequency ablation of the electrical circuit was performed at the electrophysiological laboratory directed by Dr. Roberto Santilli of the Veterinary Clinic Malpensa, with an endocardial and epicardial approach with interruption of the arrhythmia. Now Matilde is fine and has been discharged. These incessant ventricular tachycardias are common in the English Bulldog with arrhythmogenic cardiomyopathy, a familial disease that also affects the Boxer and cats. 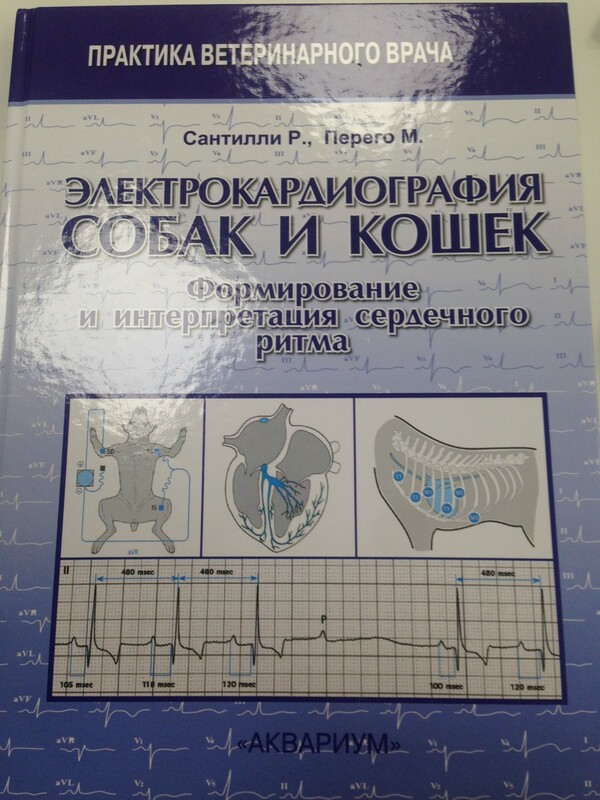 This month the translation of the book Elettrocardiogramma del cane e del gatto – Roberto Santilli and Manuela Perego – Elsevier Masson 2009 edition was published on the Russian veterinary market. The work was much appreciated by Russian colleagues. 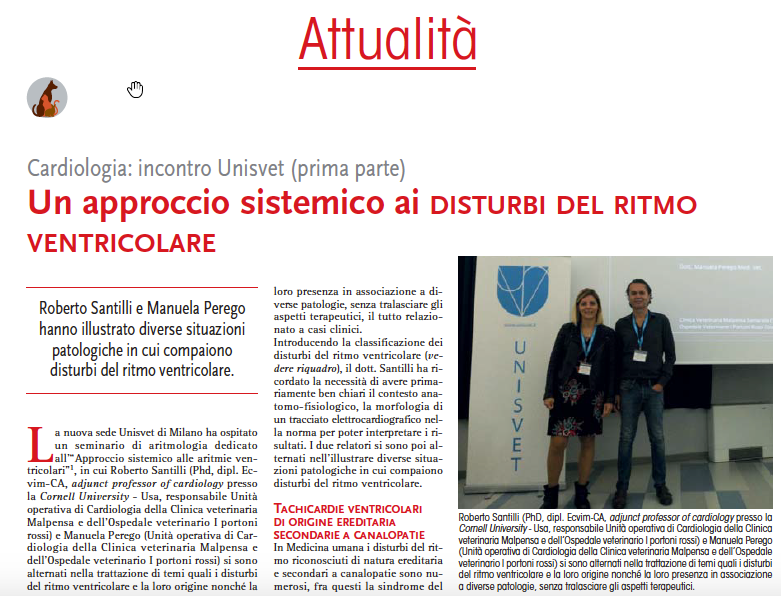 On Sunday, 17 September 2017, a seminar on ventricular arrhythmias in the dog was held in Milan at the UNISVET Headquarters. 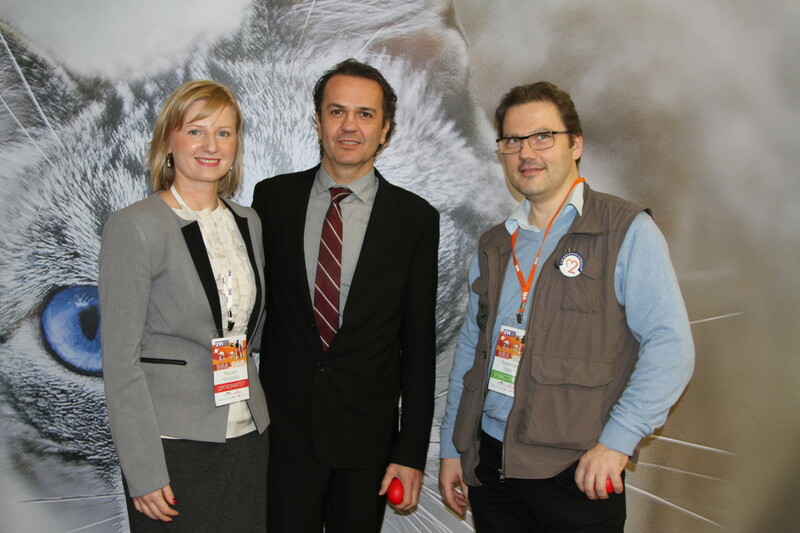 The speakers of the day were Dr. Roberto Santilli (Associate Professor of Cardiology at Cornell University, NY, USA and Head of Cardiology Unit of the Malpensa Veterinary Clinic and Veterinary Hospital I Portoni Rossi) and Dr. Manuela Perego ( operative at the entrances operative units of cardiology of the Veterinary Clinic Malpensa and of the Hospital I Portoni Rossi). 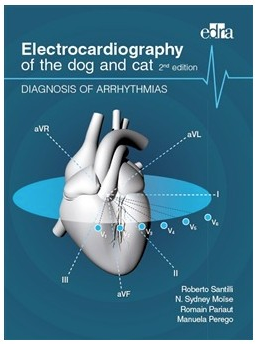 The day began with a review of electrocardiographic characteristics of the ventricular arrhythmias of the dog with related electrophysiological mechanisms. Relationships on the various pathologies commonly induced ventricular arrhythmias in the dog such as arrythmogenic cardiomyopathy, dilated cardiomyopathy, myocarditis, chronic mitral valve disorders, and extra-systemic disorders have been reported. The day ended with the analysis of family ventricular arrhythmias and the acute and chronic therapy of these rhythm disorders. We are opening three positions for a specialist cardiology internship at the Malpensa Veterinary Clinic (CVM) operating unit that will commence on January 1, 2018. This internship will be preparatory and will allow selected candidates, after completion of the program, to apply for and enter the list of potential candidates for the residency program in Cardiology (ECVIM-CA Cardiology) of the CVM with start 1/1/2019. Candidates must be graduates in Veterinary Medicine, have knowledge of English, have completed a multidisciplinary internship of 12 to 15 months or have a PhD in cardiovascular disease in dogs and cats. Applications must be sent by email to the human resources of the Malpensa Veterinary Clinic from 6/1/2017 to 8/31/2017 (resources.umane@cvmalpensa.it) by submitting CV, motivational letter, attestation of internship or doctorate, and 1 or 2 letters of reference. The selected candidates will then have to open the VAT for monthly payment, be in possession of professional insurance. Syncope: diagnostic reasoning and clinical management. 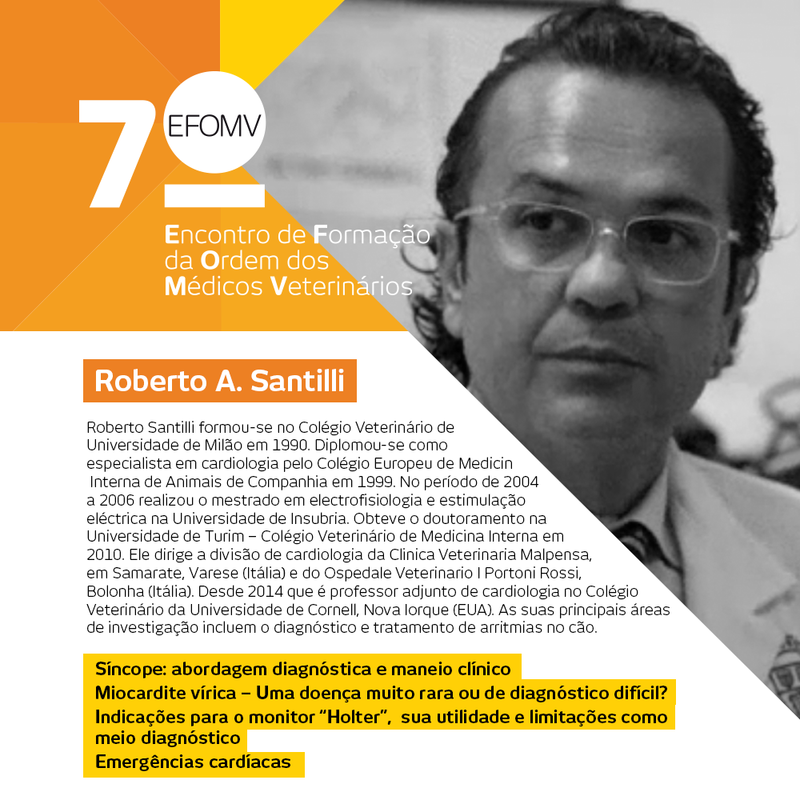 During the lecture the speaker will define the current classification of transient loss of consciousness in the dog, the clinical pictures of different syncope, the diagnostic tools and the treatment options. Viral Myocarditis – a very rare disease or just difficult to diagnose. Myocarditis are a very common heart diseases in canine and feline population. The author will define the diagnostic criteria and the role of endomyocardial biopsy to obtain samples for histological and molecular biology, helpful to define diagnosis and treatment of these disorders. Indications for the Holter exam. Its utility and limitations as a diagnostic test. Dynamic electrocardiographic examination is a widespread diagnostic tool in veterinary medicine. The author will define the utility of such a test, different algorithm to diagnose arrhythmias, to define treatment strategies and efficacy and its limitation. 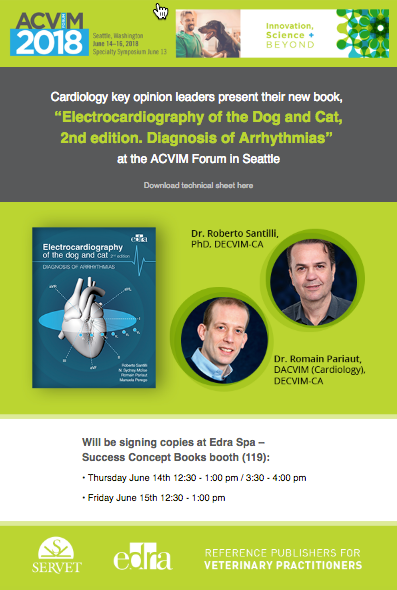 The author during this lecture will describe diagnosis and treatment of the most common cardiac emergencies in veterinary patients including tachyarrhythmias, bradyarrhythmias, cardiogenic shock and acute congestive heart failure. 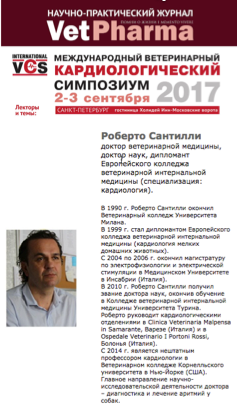 October 22nd 2016 – Dr Roberto Santilli held in Moscow a ECG workshop for a limited group of russian veterinary cardiologists.